Editor’s note: Today we feature a recent interview with Dr. Trysh Travis, professor in the University of Florida’s Gender, Sexualities, and Women’s Studies department and Points co-founder/managing editor emeritus, on Rebellion Dogs Radio, a podcast offering “less dogma and more bite” than traditional perspectives on recovery. Below is the interview description from Rebellion Dogs and a link to the interview on Soundcloud, but be sure to check out the original post (and the entire thought-provoking site). “More than just a professional historian, as a Women’s Studies professor, I’m a professional feminist. That means that my orientation to history is informed by an awareness of the unequal distribution of power between men and women, and a desire to reveal, critique and correct that inequality. 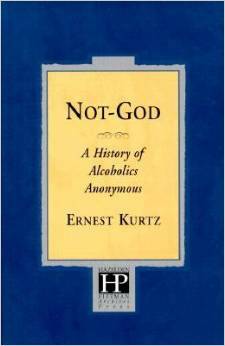 Feminism works for me as what Ernie [Kurtz, Not God: A History of Alcoholics Anonymous] called a filter—it colors the questions that I ask and the answers that I formulate.” Trysh Travis: 2017 AA History Lover’s Symposium, Sedona Mago Recovery Series. Longtime Points readers will know (and newcomers should find out about) my longstanding interest in feminist work on drug and alcohol issues. Now, at long last, I have the chance to hire someone to keep me company on that thankless research journey! The Center for Gender, Sexualities, and Women’s Studies Research at the University of Florida is hiring an entry-level assistant professor, and the field is WIDE OPEN! Now is the chance to build an absolute beach head of feminist substance abuse research in sunny (if slightly hurricane-ravaged) Florida. Points readers, come join me! And if you can’t join me yourself, please spread the word to those who might. The incredibly non-specific job ad (application deadline 10 Nov.) is below; the full (yet still quite vague) position description with all the bells and whistles can be found in the UF Job Portal. Tenure-track Assistant Professor in Gender, Sexualities, and Women’s Studies: The University of Florida College of Liberal Arts and Sciences invites applications for a tenure-track Assistant Professor position in the Center for Gender, Sexualities, and Women’s Studies Research (tenure home). We seek applicants with superior promise who combine rigorous scholarship with excellence in teaching and service. Applicants should be trained in and have a research program and teaching experience that centers feminist, women’s, gender, and/or sexualities studies. We are particularly interested in candidates whose research, teaching, and service takes a feminist intersectional approach to addressing disparities and/or (in)equities related to gender(s), gender identity and expression, sexualities, or women. The candidate is expected to contribute enthusiastically to the interdisciplinary research, teaching, and service mission of the unit by maintaining a productive program of scholarship, pursuing external funding, supervising undergraduate and graduate students, teaching both core required courses and needed electives in the women’s studies undergraduate and graduate curricula, and engaging actively in outreach, experiential learning, and the life and success of the Center and the College.